A unique and elegant design, the Braid Armchair by Rugiano Interiors is expertly crafted with an exterior of intertwined woven panels. Featuring precise hand-stitched detailing and decorative motifs, this timeless armchair will add a touch of Italian sophistication to any living room space. Hand-crafted using artisanal processes, only the finest leathers and fabrics are used to upholster the sumptuous backrest and seat. 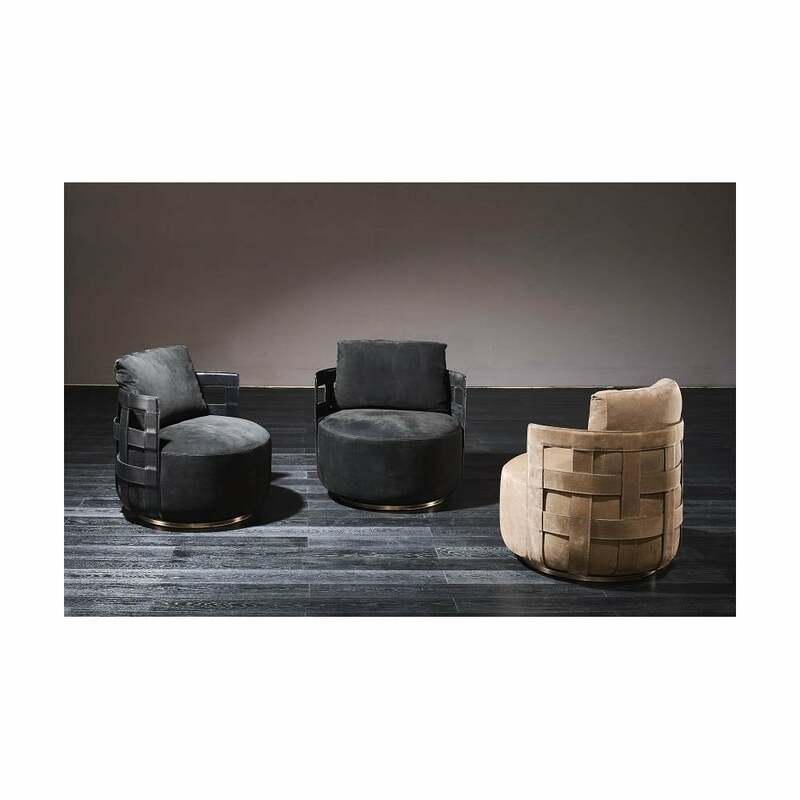 The perfect armchair for cosying up in on a dark evening, pair with the Braid Sofa for the ultimate luxury look. Samples are available upon request. Make an enquiry for more information.